Please visit the live auction pages on your tablet for up-to-date details on each of these packages! 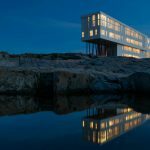 Fogo Island Inn, Newfoundland, sits on an island, off an island, at one of the four corners of the Earth. A two-night stay for two in the Inn’s Labrador Suites includes ground transfers from Gander International Airport, use of all facilities (contemporary art gallery, heritage library, digital cinema, rooftop saunas, and hot tubs) and all meals (excluding alcohol) enjoyed in the Inn’s dining room, named among the top three “Best New Restaurants of Canada” by enRoute magazine. During your stay, you’ll enjoy a half-a-day island orientation with a community host. Be prepared for fresh perspectives and insights, stories and laughter, and allow yourself to be oriented to this “Salty Narnia” by the people of the place. It’s exactly what you’d expect to find at one of the four corners of the Earth. Enjoy an exclusive dinner with Mayor Mike Savage, his wife Darlene Savage, and eight of your guests onsite at the Dalhousie Arts Centre on Saturday, October 28, 2017. 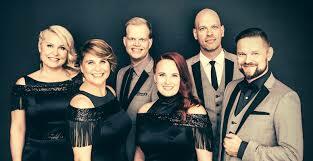 After dinner and drinks, you’ll have the opportunity to meet Finland’s own pop group Rajaton before taking your seats for a night to remember with Symphony Nova Scotia’s The Music of ABBA. Hand selected from a local wine collector’s cellar, these wines will be sure to dazzle your guests for any occasion. Described in wine reports as “A silky, seductive wine”, “balanced and harmonius”, “Amazingly rich and elegant”, “A wine of power and range that is just hitting its stride”, you won’t be happy until you bring these home to savour. 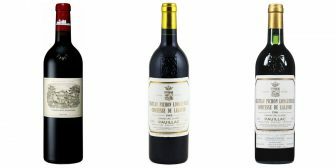 These bottles offer a rare taste into one of the most respected wine regions in Europe: Pauillac, Bordeaux, France. This trip for two to Barcelona includes economy airfare and three nights’ accommodations. You will enjoy winery tours in Penedes, at both Mas La Plana and Jean Leon Winery, along with lunch at Restaurant Mas Rabell Torres. You can also enjoy dinner at La Vinateca Torres restaurant in Barcelona. No restricted date; trip must be taken within the 2018 calendar year. This one day, once-in-a-lifetime trip for up to five people departs in the early morning from the Halifax International Airport private air strip. 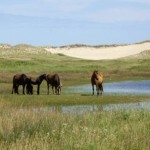 Sable Island, 300 km south-east of Halifax, Nova Scotia, is renowned for its wild horses and shipwrecks. It is also an island with a fascinating geology and natural history that reflects the challenge of surviving wind, waves, and isolation. You will be talking about this experience for years. The date for redemption of this auction prize must be confirmed several weeks in advance. It is possible to get to Sable Island between May 1, 2018 and September 30, 2018. This program may be rescheduled on extremely short notice due to any number of weather or ground conditions which could lead to possible delays or change of excursion date. The authority to cancel or postpone this program lies with Parks Canada and Maritime Air Charter. There is a risk of being stranded on the Island for an indefinite period of time. 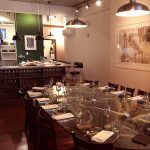 The Kitchen Table at Ratinaud offers a private 8 course tasting menu with wine pairings for you. The private dining room consists of 14 seats at the communal table and 6 seats at the kitchen bar! A perfect event for the holiday season! 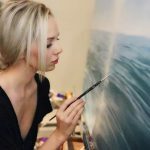 Katharine Burns is an exciting emerging artist, with two sold out shows thus far at Argyle Fine Art gallery. The ocean is a constant inspiration. She’s pleased to be working on an original piece for the auction with the support of the gallery. 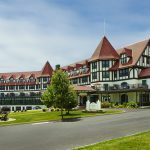 A getaway for two couples to the Algonquin Resort tucked away in beautiful St. Andrew’s-by-the-Sea. Enjoy a relaxing two nights’ stay for two couples with two rounds of golf for four on the newly re-inspired Rod Whitman designed course. Each couple will have their own charming and relaxing guest room. Valid from July 28, 2017 to October 31, 2018. 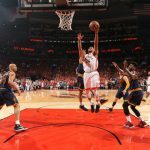 Be a part of the action with two courtside seats near the Toronto Raptors bench for a home game during the 2017/18 regular season. Included in this package is a $250 Gift Certificate for dinner and access to the Platinum Club at the Air Canada Centre before the game. Game to be confirmed with Office Interiors with some flexibility to the winning bidder. Enjoy a guided winery and vineyard tour for eight guests at Jost Vineyards. 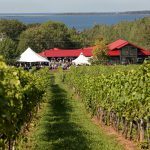 Following your tour, dine in the Grand Tasting room for a structured wine tasting with a paired five course lunch hosted by Carl Sparkes, owner of Devonian Coast Wineries. A luxurious SKYBOX for a party of 15 to catch a Mooseheads game on January 19, 2018 (vs. Cape Breton Screaming Eagles). Includes a $300 food and beverage credit. Date is firm and package cannot be transferred to another night. For every Whiskey connoisseur, this basket will be sure to delight. 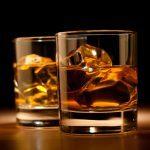 Included: Ardbeg Corryvreckan, Ardbeg Perpetuum, Glenmorangie Bacalta, Glenmorangie Tusail, Glenmorangie Lasanta, Glenmorangie Quinta Ruban.